Religion has sure turned a super sensitive issue in the country and while politicians are playing well to harp on the escalating tensions in the country, seems like celebrities too want to warm up their hands in the burning flames of hatred, as is evident from the recent Twitter spat between Bigg Boss‘ ex-contestants Gauahar Khan and Payal Rohatgi. 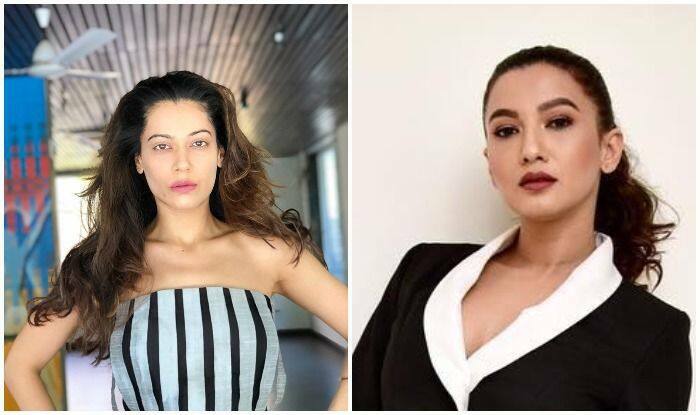 Payal’s tweet regarding eviction of Kashmiri Muslims from Jammu and Kashmir if Article 370 can’t be removed, drew a sharp response from Gauahar which led to a verbal cat-fight online. This was not met well by Payal who chose to sling mud on the actress, attacking her stay in the Bigg Boss house and her relationship with Kushal Tandon by commenting, “Muslim Aunty who played d #feminist card to win a realityshow who was in a unsuccessful relationship with a Hindu guy, has emerged. She knows d population of my building then U should know I own d flat. U workout in hijab ? Because Muslim women in my building do that” (sic). Gauahar maintained her cool with witty replies, following Payal’s comment, which read, “It’s a woman’s choice to wear a hijab or not!N if they r working g out in a hijab I am proud that it’s an example of being able to do all that u want in it! Just the way Its not frowned upon when a woman works out in her sports bra, she shouldn’t have to get small minded” (sic) while in another tweet she wrote, “People like u to look down upon a woman wearing her hijab to work out! That’s what real feminists r ! They build each other up ! Not like ppl who choose to be nice to men n women depending on their faith ! I don’t need to run u down, the ppl of this world r clever” (sic). The spat did not end here as Payal went on to write, “Muslim aunty I was talking about Article 370 but ILLITERATE like U would not understand that. I said #EVICT Kashmiri Muslims to other states of India as they are Indian Citizens but dyslexic people have difficulty in understanding English. Hatred is your forte, remember BB7” (sic) and in another tweet she mentioned, “This is Secular India of 2019 NOT Islamic India which u dream off, 90% Muslims cant throw an Hindu owner from their house. This is NOT Kashmir & definitely NOT 1990 where in d name of #ForcedConversion U can kill hindus . Give your communal crap to your Gushal fans #Fool” (sic). The Twitter war finally made Gauahar block Payal on the micro-blogging site which instigated another reaction as Payal’s following tweet read, “After all tagging my tweet, to get publicity for herself in her nonexistent film career this reality show feminist blocks me. @MumbaiPolice I am bringing into your attention that this woman has tried to call 4 my lynching because I gave a suggestion on curbing terrorism in J&K” (sic).